This is the revolutionary time where all telecom operators are trying to provide their best high speed internet and calling packs in cheap prices. All are leading telecom network companies like Jio,Airtel and Vodafone. if we look back in couple of years before when we paid 200 Rs and get only 1 gb internet data with limited validity period. But two years ago Relience JIO started price war in india's telecom sector.now customers have wide range to choose their best packs in cheapest rates. All operators have come up with new prepaid and postpaid plans for their users.most of the telecom companies are matching their plans and trying to provide us best services. The telecom sector revolation in the country has witnessed high competition since the launch of Reliance Jio in September 2016. Airtel's Rs. 199 prepaid recharge plan offers 39.2GBs of 3G/4G data for a period of 28 days, with a daily cap of 1.4 GB data. This Airtel prepaid recharge plan also offers unlimited local, STD and roaming voice calls. 100 free SMS's are also bundled with this prepaid recharge plan of Airtel. Except this Airtel's Rs. 349 prepaid recharge plan offers 70GBs of 3G/4G data for a period of 28 days, with a daily cap of 2.5GB data. 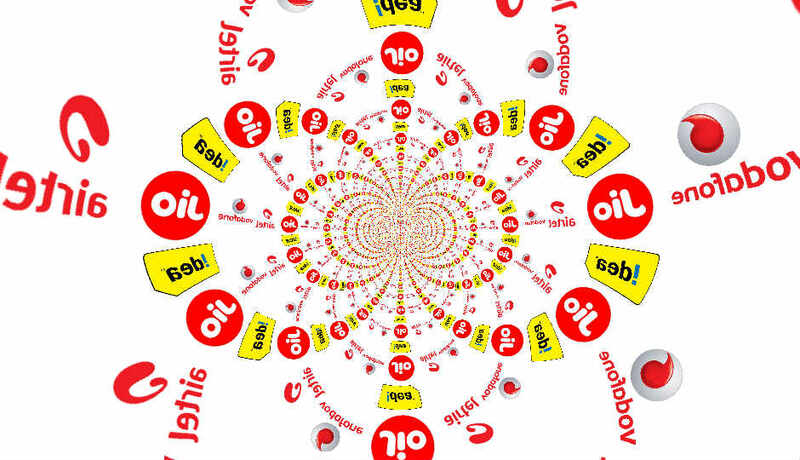 In this plan vodafone offers 1GB 2G/3G/4G data. Local and STD calls are unlimited and 25 paise is charged for every local/national SMS. This plan is valid for 28 days. Except this offer Vodafone offers 1.5GB 2G/3G/4G data per day. It comes bundled with unlimited local, STD and national roaming calls. Local and national SMS are chargeable at 25 paise per unit sent. This plan is valid for 28 days.